WP Sell Anywhere is the simple solution plugin that shows you how to create a PayPal button and another type of payment option on your webpages when PayPal isn’t an option. The last thing you want to do is miss out on sales because you don’t have convenient payment methods available. This plugin shows you step by step how to add valuable pages to your site when warranted. If you need to do a quick pitch or add a sales page you can do so instantly with this expert plugin. The more quality information you have in your head the better when it comes to setting up your effective WordPress website. Inside you will learn the proven tips, tricks and expert strategies that successful online businesses use to captivate their niche target audience and drive them in massive numbers to their webpages. From there you will increase your rank, boost credibility, increase authority, become more visible and set your on-page time to improve. This increases the chances of visitors buying your product or service. 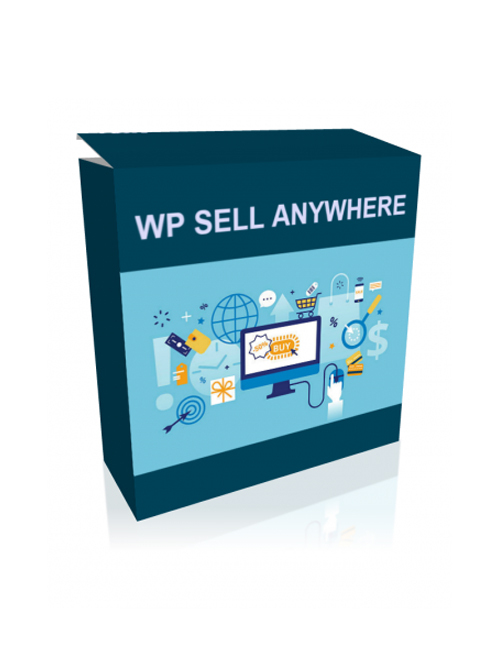 WP Sell Anywhere is the tool that’s going to make money-making super easy in your top chosen niche.